Well here we are again, with lots to talk about and smile at. Today I will be talking about my being famous in Fiano, the Italian stampede to buy plants for the vegetable gardens, Silvio Berlusconi (who? ), Enrico Letta (who? ), Big slabs of concrete and Italian roadworks. I am delighted to report that our local cartoleria (stationers) in Fiano, run by Milko and his lovely mother, want to sell my novel to the tourists. Milko thinks they should promote me as their local famous writer! Well, I said (in Italian of course) I am delighted to hear it, you are the first bookseller to suggest this, so I had better order you a batch! After two months of political wilderness, things seem to be coming together here. Enrico Letta has been nominated as the new Prime Minister by our aging friend President Giorgio Napolitano. He’s only in his forties, which kind of goes along with a number of other European countries, and has the ear of the lovely Silvio Berlusconi. Silvio, however, wants back in as Minister of the Economy. In other words he’ll still be running the country! This is important as he is also a great advertisement for the thousands of hairdressers, plastic surgeons and makeup artists in the country. My man and I went to Certaldo this morning and got caught up in the stampede to buy freshly delivered plants for the vegetable gardens (l’orti). It’s important not to be shy on occasions like this, because everyone pushes in front of one another. Fortunately, I am taller than the average Italian and can shout as loud as the locals, so got my purchases reasonably quickly! We will be planting Courgettes (zucchini), peppers (pepperoni), and numerous herbs (l’erbe) this weekend, assuming the rain stays away. Last Wednesday, I set out for Fiano and my coffee fix. After two km’s of dusty track I came to the main road and turned left for Fiano. Then I was waved down by a local farmer (contadino), who told me to turn found, because the three week old landslide was finally being removed and the road was blocked by diggers and cranes. So I did and found the road blocked the other way by more workmen and a no through sign! So I retrace my steps and the only way to go was back past my villa and down to Certaldo for coffee! We have a favourite saying here – ‘Only in Italy!’ Thursday, the road was open again and vast concrete blocks have been placed below the cleared landslide – unfortunately the Italians love concrete! 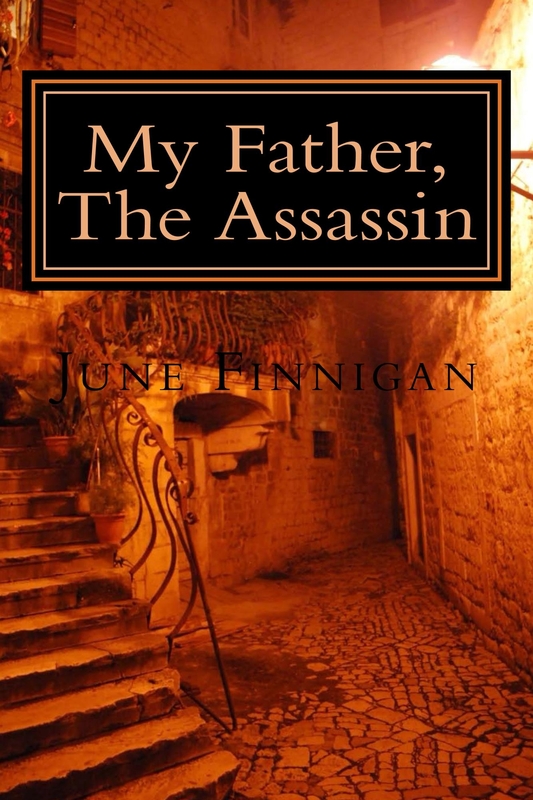 I have not included a snippit from ‘My Father, The Assassin’ by J W Finnigan today, but will do so next weekend. Why not view the whole book on Amazon!